It started with one young man. Mohamed ElBouazizi. It started with one town. Sidi Bouzid. It started with one nation. Tunisia. It started with one day. December 17, 2010. 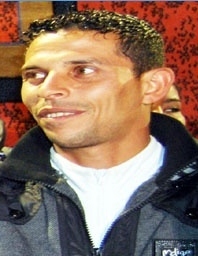 Mohamed Bouazizi, 26, was an unemployed college graduate. With limited prospects for employment of any kind, he took what he had and bought a fruit cart. It was his only source of income. However, the police was not so understanding when they either fined him due to permits or requested a bribe he couldn’t afford (conflicting reports), they also humiliated him. His cart was confiscated, destroyed before his eyes and in front of his humble customers. When following procedures in making a government complaint went to no avail, ElBouazizi was not able to bare it all. Not knowing simply what to do, ElBouazizi self immolated himself in Sidi Bouzid’s public on December 17, 2010. ElBouazizi died January 3, 2011. 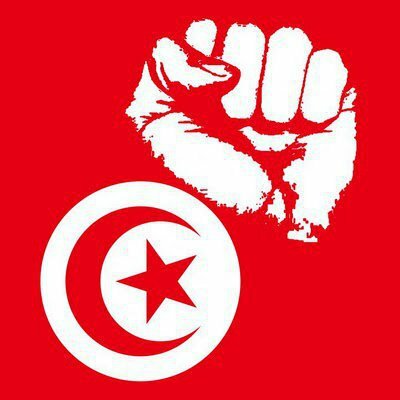 Tunisia, a tightly run police state in North Africa, has had the same president for almost 25 years. Zine ElAbidine Ben Ali. Ben Ali – who’s first name ironically translates to “the best of the worshipers” – was the nation’s only second president since it’s independence from France. Like other neighboring Arab nations, it’s a given that once one obtains power, they stayed in power for life. Their family & friends reap the benefits while the people struggle to obtain simple basic needs. And the Jasmine Revolution begins. Before long, Twitter, Facebook and other social media networks were ablaze with the young people organizing to have their voices heard. They, alongside their elder and younger generations, took to the streets chanting, striking and doing whatever it took to have their voices amplified. Despite the lack of journalistic broadcasts of their demands for their inherited rights and freedom, their voices did not go on deaf ears. It took 29 days, clashes with police, enforced curfews and support for the world over before Ben Ali finally “understood” and fled to Jeddah, Saudi Arabia. Today, there is an Interpol warrant out for his and his family’s arrest for courroption, theft and crimes against humanity. Protests remain to ensure that Ben Ali’s dictatorship does not continue through his circle still holding on to their government seats. Before ElBouazizi, there was Khaled Said. Said, a 28 year old young man of Alexandria, Egypt, was brutally killed by police in public for unknown reasons (conflicting reports have stated that it was either due to Said posting a video online of these same police offices in a corrupt deal after a drug sting or that he defended such an individual these officers were after). Eye witnesses and individuals who tried to intervene state that the police men dragged Said into a residential building lobby where they brutally beat him. Even as he begged them for mercy, the officers banged Said’s head several times against concrete steps, walls & floor of the building. 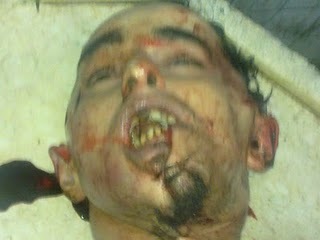 A very graphic picture of Said after the incident can be found here. Said died on June 6, 2010. After the story spread across the nation via social media, blogs and the people’s uproar of the well known and feared police’s treatment of Egyptian citizens, authorities finally issued for an investigation of the policemen to take place. They were only charged with unlawful arrest & use of excessive force. 60 percent of Egypt’s population, like Said, are under the age of 35 and have only known one president, Hosni Mubarak. After President Anwar ElSadat’s assassination in 1981, Mubarak was sworn into office. Since then, Egypt has seen a rise in unemployment (now around 45%), extensive censorships and many living on survival mode as poverty reached the millions. Since his swearing in 1981, Mubarak has put Egypt under an extended emergency law. Under this law persecutions, tortures, beatings, jailing without trail and/or of being taken “وراء الشمس” (“behind the sun” is what Egyptians refer to when one is arrested for unknown reasons and never seen again) was allowed; and the nation lived in fear. Ben Ali fled Tunisia on January 14, 2011. Social media networks were already ablaze with young people of Egypt organizing to have their voices heard as well. A “Day of Rage” was organized to take place on Egypt’s National Police Day for them, alongside their elder and younger generations, take to the streets and do whatever it takes to have their voices as amplified as those of Tunisia’s own. Egypt was diagnosed with the Jasmine Revolution on January 25, 2011. The rest is history being written. On September 11 later this week, Americans will be morning the lives lost as well as the tragic and unnecessary wars that soon followed in response. 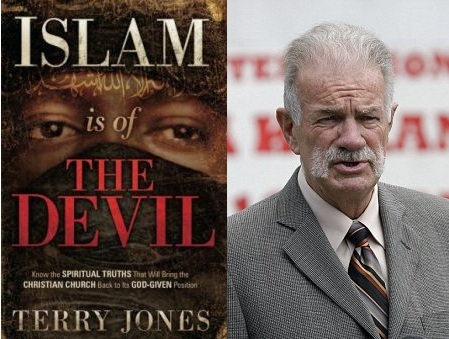 Pastor Terry Jones of the Dove World Outreach in Gainsville, Florida and the author of Islam is of the Devil, has declared the day be “International Burn the Quran Day”. He’ll be holding the bonfire event at his church as well as asking others to do the same in their local areas across the world. As a Muslim American, I’m not angry. Offended yes, but not angry. Jones doesn’t realize that his same actions happened over 1,430 years ago. Rulers of then Arabia worshiped idols they built from stone. It was worship their way or suffer the consequences. Consequences included torture and public executions. They too burned any religious scriptures they found in the hopes of ridding the land of what they deemed as unholy. Prophet Mohamed struggled for freedom of religion, freedom to practice his faith and to teach his faith without persecution. As God Almighty brought down the Quran, He promised that the Quran would be protected. Over a course of 23 years, the Quran was brought down to Prophet Mohamed so that he may learn it and teach it to his followers, the Muslims. Prophet Mohamed taught us Muslims not just to read the Quran, but to memorize it, teach it, follow it and make it part of our daily lives. He taught us Muslims to recite it in our prayers 5 times a day. To recite it during our time of joy and our time of hardship. To recite it when we laid our head on our pillows and when we rose from them. To recite it before we leave our homes and when we reentered it. To recite it in the ears of our new born child and in the ears of our perished loved ones. God Almighty’s promise has been proven to be an ongoing fulfillment. 1,430 years later the Quran has been reprinted, recorded on audio tapes and CDs, accessible via the internet, downloadable through mobile applications and above all, memorized, taught, followed and made part of a Muslim’s daily life. To this day, the Quran has not been altered, rewritten or divided into versions. There may be several sects of Islam such as Sunni, Shia or Ahmedi, but all follow the same Quran. As a Muslim American, I’m not angry. If anything I pity the pastor, for ignorance is not bliss. Jones is ignorant of the fact that the Quran he plans on burning mentions his God and Savior, Prophet Jesus, more then 28 times. The Virgin Mary has her own surah (chapter) and is mentioned over 30 times. Both being mentioned more then the number of times Prophet Mohamed is mentioned. Not including the multiple mentions of Prophet Abraham, Prophet Moses, Prophet Noah, Prophet Joseph… just to name a few. For a religion that is of the Devil it seems to really have a thing for holy people! This same Quran he plans on burning teaches us Muslims to respect, learn, teach and be peaceful with one another. It even emphasizes the mutual respect and peacefulness to be with “the people of the book”, meaning Christians and Jews. With that, I refuse to be angry any Christian over the actions of Jones and his blind followers’ for I know their actions do not represent any Christians’ beliefs. Just like I refuse that the actions of extremists and their blind followers be seen as a representation of any Muslims’ beliefs. ﻿﻿﻿I personally doubt Jones has even read one verse of the Quran. I’m sure if he had, this would not be the stand he would take. Nor would he have written his infamous book to begin with. I refuse to be angry over this man’s actions. He is obviously not only ignorant but close-minded and for that, not worthy of any anger. He can burn the Quran but it will always be in existence within my being and the beings of 1.5 billion Muslims worldwide. I myself can only make the promise to continue to learn, memorize, teach, follow and make the Quran a part of my daily life. I can also promise to pray for the pastor, as I honestly pity him, especially now that he is lost amidst his anger and 15 minutes of fame… I mean shame.